Avila Insurance Services, LLC. Offers all lines of Property & Casualty Insurance. We offer Business Insurance, General Liability Insurance, Work Comp Insurance, Professional Liability Insurance, Excess Liability Insurance, Commercial Property Insurance, Commercial Auto Insurance, Personal Home Insurance, Personal Auto Insurance, and personal Umbrella Insurance. We also have access to many other carriers that offer Life Insurance, and Group health Insurance. We are a full service Bilingual Agency that also offers Public Notary, and Translation Services. Life Ins. & Group health Ins. Umbrella insurance is extra liability insurance. It is designed to help protect you from major claims and lawsuits and as a result it helps protect your assets and your future. Feel free to contact us any time at. Business Owners Policy (BOP) is a combination of general liability and business property insurance. General Liability Insurance also known as Commercial General Liability (CGL) protects your business from another person or business’s claims of bodily injury, associated medical costs and damage to property. A policy purchased by vehicle owners to mitigate costs associated with getting into an auto accident. Instead of paying out of pocket for auto accidents, people pay annual premiums to an auto insurance company; the company then pays all or most of the costs associated with an auto accident or other vehicle damage. Commercial property insurance helps businesses, including farms and ranches, pay to repair or replace buildings and other property damaged or destroyed because of fire, storm, or other incidents covered by the owner’s policy. It also pays to replace stolen or lost property. 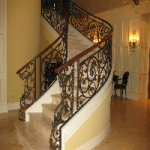 Fabian Armendariz – Colonial iron Works, LLC. Veronica- Thank you for helping me with my Business Insurance and Work Comp insurance. I am grateful for your services. I appreciate your taking the time to call the DMV for us and helping us with our Drivers License issues. You always provide exceptional service even for things outside of Insurance. We appreciate you very much! 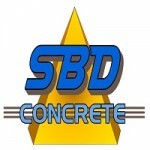 Santiago Barron & Yahaira Madera – SBD Concrete Inc.
Vero- Gracias por todo, Estamos muy contentos con usted y todo lo que haces para nosotros y nuestra negocio. Esperamos con interés trabajar con usted en el futuro. Te lo agradecemos muchisimo! Veronica- thank you so much for taking the time to assist me with my Commercial Insurance needs. I always feel comforted knowing that you review my Insurance requirements before I sign a contract so that I know I am covered properly before starting a job. You always do things for me that not all Agents do for their clients. I appreciate your thoroughness and timeliness to my requests. I look forward to growing my business with you as my Insurance Agent.